Now that we're in the 'ber' months now, the weather is getting cooler and cooler as Christmas is fast approaching. Just yesterday, I was shivering in cold because living in a tropical country whole my life, I'm always used to wearing lighter and thinner clothes due to the extremely hot weather we always experience. I wasn't aware that there was a storm entering the country so I wasn't prepared with the cold weather! It was so hot in the morning and then unexpectedly, it was raining! This sweater is so stylish! The black and white contrast is just so classy and pretty much, you'll be elegant and classy when you wear this piece in any ensemble! 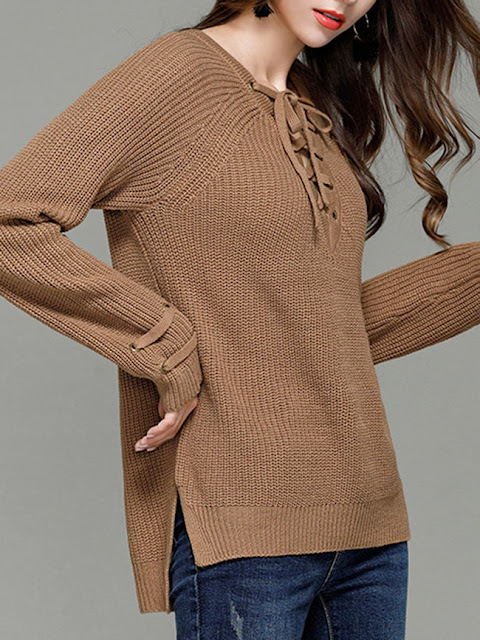 The V-neck lace-up detail is just beautiful and makes the whole piece stylish and unique. This sweater is available in a variety of colors. A very stylish cardigan, its length actually makes it perfect for the office and also for a regular casual day. It's nice to cuddle up and wrap yourself around this soft cardigan. The color is also soft and lovely. Check-out FashionMia via their Website, Facebook Page, Twitter, and Instagram. I'm in love with the brown one! Amazing sweaters,like them so much! 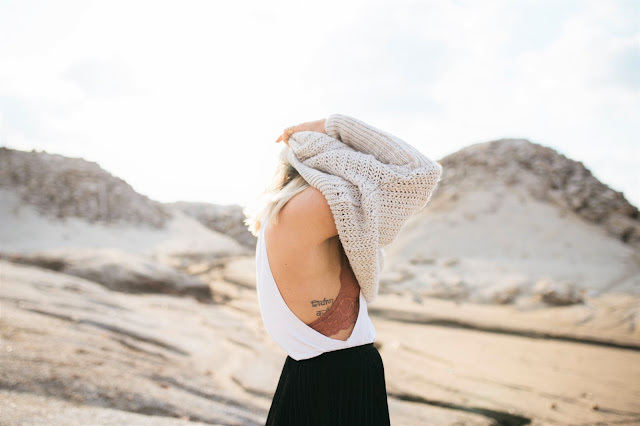 Cardigans are also so modern and popular, love it! Great post, so interesting selection! The long cardigan is beautiful.. Cute selections Rae! My favorite is that long black cardigan!